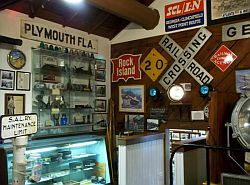 Put on your conductor's hat and take a tour of the historic Central Florida Railroad Museum. 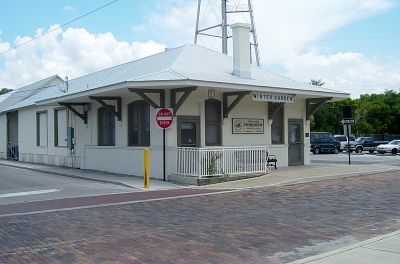 Located in downtown Winter Garden, the museum is housed in the old Tavares and Gulf Rail Company building. The white aluminum exterior of the building stands in stark contrast to the vibrant history contained within. Step through the old screen door and sign the guestbook of the Railroad Museum to put your personal mark on history. 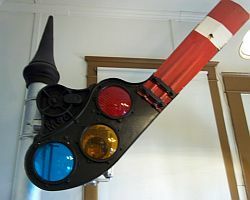 Inside the museum you will be greeted by locals and a volunteer that will give you grand tour of the museum that chronicles the history of the two main railroads that ran through Winter Garden, the Tavares and Gulf Rail Company and The Atlantic Coast Line. 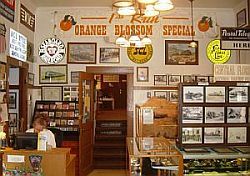 Pasted to the walls are pictures and various signage that depicts the storied tradition and heritage of the still functioning rail system. 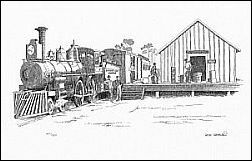 The railroad was a key component of the Winter Garden economy that exported produce and freight and imported people from all over the State. Volunteer Terry Baker of the Railroad Museum notes that, "Trains were a civilized means of travel. You could jump on a train and avoid the day to day traffic." Central Florida Railroad Museum, Winter Garden FL 34787 Railroad museum. According to local sources, the day to day traffic in Winter Garden was busier than most people think, "On a Friday night, you could feint in the streets of downtown Winter Garden and you would feint standing up because there were so many people." 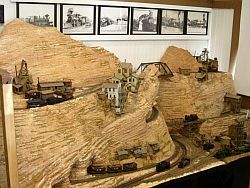 Famous celebrities, such as Humphrey Bogart and Clark Gable would travel to Winter Garden by riding the rails. Once in town they would stay at the illustrious Edgewater Hotel to bass fish on the local lakes and enjoy the rustic spirit of Winter Garden. If you are in the area you may want to bring your children in and support the Winter Garden Heritage Foundation by purchasing a "History Hunt" map for $1.00. This map allows them to landmark various sites of significance in Winter Garden and return to the museum for a free embroidered patch that has the Heritage Foundation logo on it. (passenger and freight) mixed train at the Winter Garden, Florida station, ca 1910. 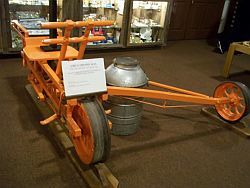 The "Tug & Grunt", as it was nicknamed, made daily runs from Tavares, Florida. Pen & Ink Print by Rod Reeves available at the RR Museum.